William Roberts practices as Of Counsel from the firm's Boston office. His practice, national in scope, involves advising energy clients on matters involving commercialization, regulation, Federal Energy Regulatory Commission (FERC) and North American Electric Reliability Corporation (NERC) compliance, mergers and acquisitions, wholesale power market design, energy project development, state and federal regulatory commissions, legislative initiatives and other transactional and contractual work. Prior to joining Preti Flaherty, William served as in-house counsel for over 14 years for a Fortune 500 company in its Independent Power Producer Division. He has advised CEOs, executives, board members and business units on deal execution, suitability, compliance, and development issues in the energy field. As Associate General Counsel and Chief Regulatory Counsel at First Wind Energy in Boston, William oversaw regulatory and compliance matters for the development and operations of utility-scale wind facilities. He has also served as Director, Senior Counsel for Edison Mission Energy where he was responsible for FERC and NERC compliance, trading and transactional legal matters. While at First Wind Energy and Edison Mission Energy, William worked on 28 wind energy projects in Maine, New York, Iowa, Minnesota, New Mexico, Oklahoma, Pennsylvania, Texas and Wyoming, totaling over 1,800 MW. Through joint development agreements, he worked with partners to advance wind farm development with transmission projects in 10 additional states, with a 5,000+ MW pipeline of development-stage projects. SUPPLY – INTERCONNECTION – COMMERCIAL AGREEMENTS. Analysis, structuring, drafting, negotiating and filing of complex Power Purchase Agreements (PPAs); interconnection agreements and tariffs; bilateral contracts; guarantees; credit support documents; confidentiality agreements; off-take and supply agreements for wind energy projects. OPERATION AND MAINTENANCE AGREEMENTS. Structuring, drafting, negotiating and defending of Operation and Maintenance Agreements on behalf of First Wind Energy and Edison Mission Energy with wind turbine manufacturers. Advising on financial monitoring, termination/suspension, operator's obligations, expiry of agreements, payments and incentives, Force Majeure, liability and liquidated damages, sub-contracting, exclusivity, insurances, warranties, intellectual property and confidentiality, dispute resolution, employees, reporting and performance security. Monitoring of performance and compliance with NERC and RTO operational rules. RENEWABLE ENERGY CREDITS. Provide legal and business analyses and registration of more than 300 MW of wind energy projects for Renewable Energy Credits (RECs). Perform registrations for dozens of facilities and corporations with leading REC certification, as well as tracking of organizations, including M-RETS, WREGIS, and GATS. TRANSMISSION UTILITIES. Represent wind energy companies with transmission utilities. Advocating, negotiating, defending, drafting and filings for renewable energy projects for Interconnection Agreements, Power Purchase Agreements (PPAs) and Qualifying Faculty status. William has extensive experience with FERC and NERC regulations, compliance and enforcement procedures. 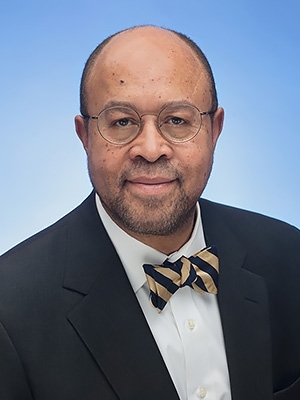 His experience spans from before FERC Order 2000 created open access transmission for generator interconnections through the birth of the competitive power industry and its subsequent development into the present market structure. As a founding member of the Members’ Committees of the New York Independent System Operator (NYISO) and New England Independent System Operator (ISO-NE), William helped develop governance and stakeholder policy and assisted in the policy development and design of regional electric wholesale market rules and regulations. William is a native of St. Louis and currently lives near Boston, MA. His hobby is fine woodworking, and he enjoys building furniture and keepsake boxes for friends and family.